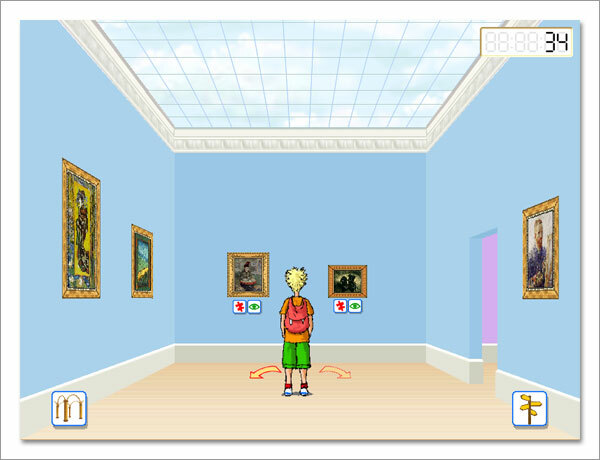 You can walk through the museum and decide whether to get more information about the paintings or to play the Game . On the "Van Gogh & Kids" cd-rom you can choose the Dutch, English, German, French, Spanish and Italian language. Screen Resolution 800 x 600 or higher. ISBN 90-807349-2-6, © 2005, Kunst & Kids.